“I firmly and absolutely recommend Kathy for help with improving executive and organizational skills. Her calm and rational approach to ADHD and executive functioning related issues is truly commendable, and I can’t speak more highly of her dedication to help clients improve their relationship to the issue at hand. Before I found Kathy for my issues with ADHD, I contacted several coaches and a therapist with delayed communication and poor results. Within the hour I contacted her, she had called me to discuss the situation and my needs. This kind of prompt, tailored, and educated response is what I have come to expect and value in Kathy. Every time I talk to her, she builds on our past progress and gently assesses the roadblocks in my way, helping to me uncover and stick with methods to improve my time management, organizational skills, and prioritizing capabilities. 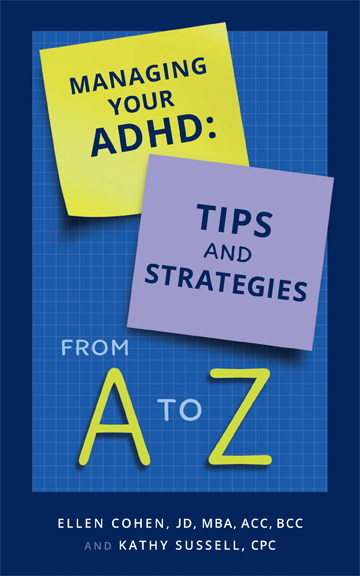 Every week, I receive emails on new lectures, books, and articles on ADHD Kathy has researched in addition to the emails with new information she’s found specifically for me. When I first started working with her, I was amazed with the breadth and depth of her knowledge on the science and issues of executive functioning issues. Now I understand that she never stops working for her clients to understand the latest news on these issues. I’ve never met someone more on top of their job – which is especially important when you’re teaching organizational and prioritizing skills!